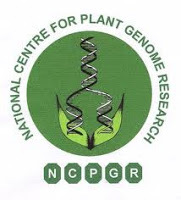 About The Organization: National Institute of Plant Genome Research, New Delhi is an Autonomous Research Institution funded by Department of Biotechnology, Ministry of Science & Technology, Govt. of India, to pursue research on various aspects of plant genomics. The Institute is also in the process of establishing a NIPGR Translational Centre at Biotech Science Cluster, NCR, Faridabad. NIPGR invites Govt jobs applications from Indian Citizens for filling up the vacant posts on Direct Recruitment basis, as detailed below. The posts are temporary but likely to continue. The position of Consultant Engineer is on contract basis. How to apply: Eligible candidates for this Govt job can send their Complete bio-data in the enclosed performa including educational qualifications from Higher Secondary School Certificate Examination (10th) onwards, documents in support of age, educational qualifications, experience, whether belongs to SC/ST/OBC/PH, etc., and name &addresses, E-mail,fax/telephone numbers of at least three references together with two recent passport size photographs be sent to the “Director, National Institute of Plant Genome Research, Aruna AsafAli Marg, P. B. No.10531, New Delhi–110067, India”on or before May 24, 2013. Incomplete applications or applications not in the prescribed proforma will not be entertained.